To paraphrase Barry Manilow, our time in New England took me away, but not to long rocky beaches, or you by the bay. Instead we took ourselves away to Penneys, aka Primark, sunset sailing in Salem and the 2018 Strawberry Festival in Topsfield. We road-tripped from NYC to Boston the weekend after Memorial Day Weekend. Left NYC a little after 10AM on Friday (thank you McCann for the Summer Fridays J) to let the Cape and other traffic get a head-start. Took the straight route all the way up I-90 and headed directly to Penneys/Primark, located on Summer Street in downtown Boston. Forget the Freedom Trail, this weekend was all about Penneys and Clam Crowder French Fries. Penneys, as it’s called in Ireland, or Primark, as it’s called in the US of A, is not to be confused with J.C. Penney. 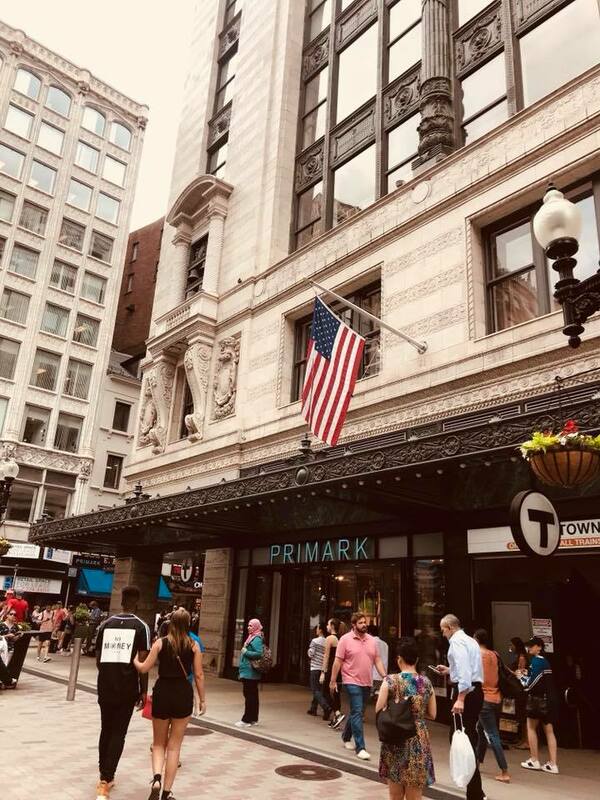 Primark opened their first US store in Boston in 2015. They have many stores in the UK and Ireland, and have additional stores in Staten Island, King of Prussia Mall outside Philadelphia and (fingers crossed) Times Square in the near future. The Boston store has 4 floors of unbeatable, affordable, good quality apparel. Think Old Navy and The Gap. My friend insisted she didn’t need that much and probably wouldn’t buy anything – famous last words. Her haul included many tops, two bathing suits, some summer shoes – all for the bargain total price of $72. I didn’t do as well and could have done with more shopping time in Primark – but hey, it gives me another reason to go back! The alleged real reason for our trip was to visit friends who had just bought a house in Topsfield, Mass, a very cute village 30 miles west of Boston. We got to their house just in time to leave for dinner at The 1640 Hart House in Ipswich. The website describes The Hart House as “Hearty New American fare served in an airy, early American farmhouse, plus atmospheric tavern.” But that a very Cliffs Notes version of the historic building. The 1640 Hart House was built in Ipswich, Massachusetts only twenty years after the arrival of the Pilgrims. The house, originally one room, was the home of a local tanner named Thomas Hart who became the town’s first selectman. As one of the oldest homes in the country, the house was well-known for serving some of the first steins of ale in the nation during the late eighteen or early nineteenth centuries. It has five distinct levels and staircases, 363-year-old fireplaces, and wall panels with Colonial hand-painted tea boxes and a fantastic martini Menu. The New England eating continued with Saturday lunch by the water in Salem, Mass at Sea Level Oyster Bar, where we were able to check off the second reason for our visit – Clam Chowder Fries. No secret recipe here – they are exactly as described Clam Chowder on top of French Fries and are beyond delicious. If you ever get the chance to try some, don’t hesitate. 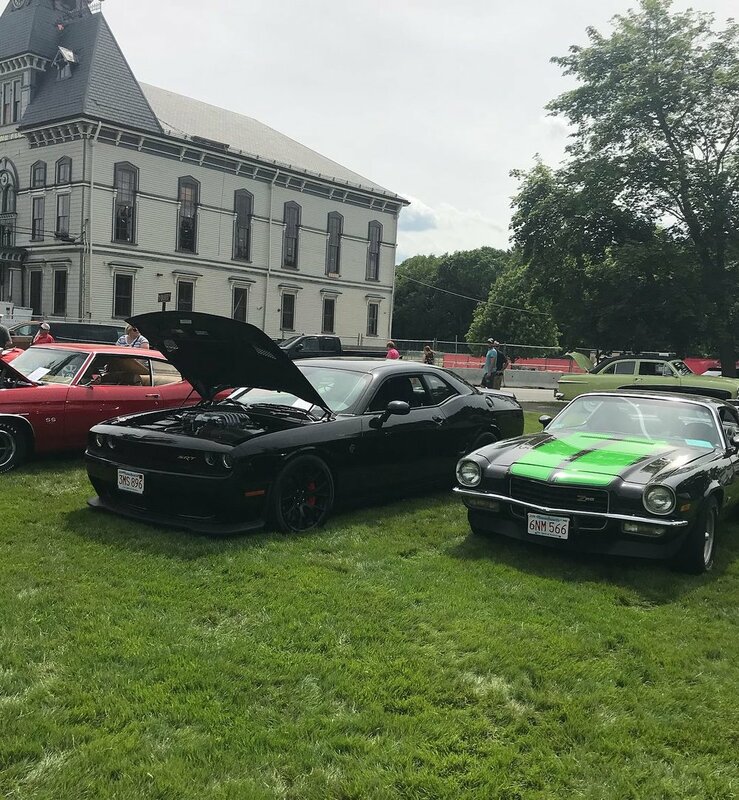 We spent Saturday afternoon back in Topsfield at the 50th Annual Strawberry Festival. It was like a live Gilmore Girls Town Festival, complete with locals who appeared to be real-life Lorelais and Taylors and Miss Pattys. The Festival sells bowls and bowls of fresh strawberries & whipped cream, and strawberry shortcake made and served by their volunteer members. The also had lots of little stalls selling candles, glassware, art, jewelry, hot sauce, honey, bags, t-shirts – all handmade. 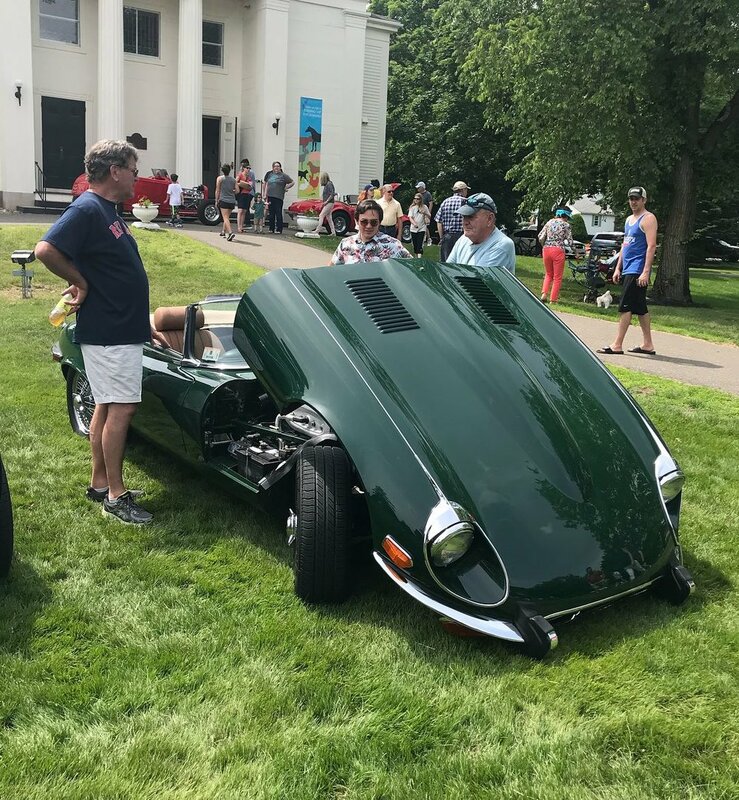 If shopping isn’t your thing, they also had the most amazing exhibit of vintage cars, with car owners bringing their vintage cars to Topsfield for the day. I casually asked the owner of a vintage Jaguar how much he thought it was worth. Without needing to think about his answer, he told me $350,000. We found time for some learning, too, with a tour of the Parson Capen House. The Parson Capen House is a historic house in Topsfield that was built in the late 17th century. It has drawn attention as an example of early colonial architecture and its well-preserved condition, compared to other houses built at that time. The Capen house was built in 1683 as the parsonage for the local Congregational Church. It was first owned by the Reverend Joseph Capen, who had moved to Topsfield from Dorchester. His wife had seen the previous parsonage and was disappointed by its condition. The family lived there for over forty years. At the time that it was built, it was considered to be the best house in the town. The house was declared a National Historic Landmark in 1960 and is considered one of the best preserved homes from its period in New England. Saturday night brought us back to Salem for a 2-hour Sunset Cruise on the Schooner Fame. Fame is a replica of a privateer from the War of 1812, and was built in 2003. We got to see a great sunset AND the captain fired a cannon too. Granted a small cannon, but still a cannon! And before we knew it, it was Sunday morning and we were back on the road to the Big Apple. Until next time in New England!